Just How Much Does America's 1% Have In Savings? 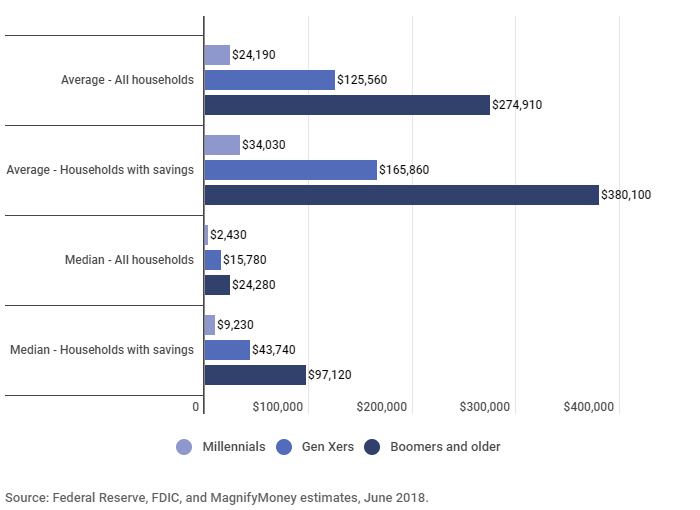 According to a new analysis of Federal Reserve and FDIC data by Magnify Money, the median American household has around $11,700 in savings between bank accounts and retirement savings - meaning 50% of Americans have less than $11,700 in savings, and 50% have more. 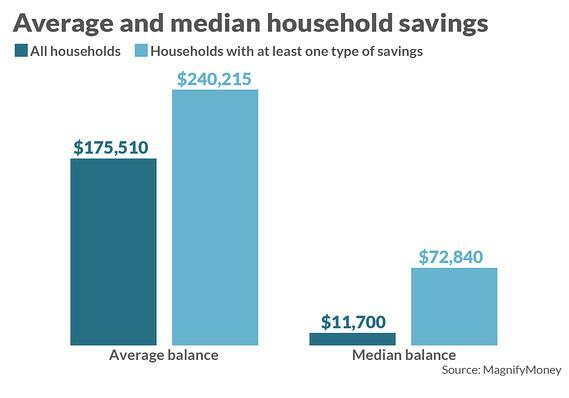 The average American household, however, has saved $175,510 - a vastly different figure. The disparity between median and average savings can be explained by math; the ultra-rich, who are essentially outliers, skew the average higher - while the median figure is the midpoint between all savers. In other words, while headlines quoting averages suggest that savings rates for all Americans are improving dramatically thanks to recent upward revisions - the reality is that most of the gains have gone to the top. The median top 1% of households by income have $1.15 million in savings, while over 50% of low-income households have no savings. The median baby boomer household and those born before 1946 has roughly $97,120 saved, while the median GenXer has $43,000. Millennials have a median savings of just $9,230. 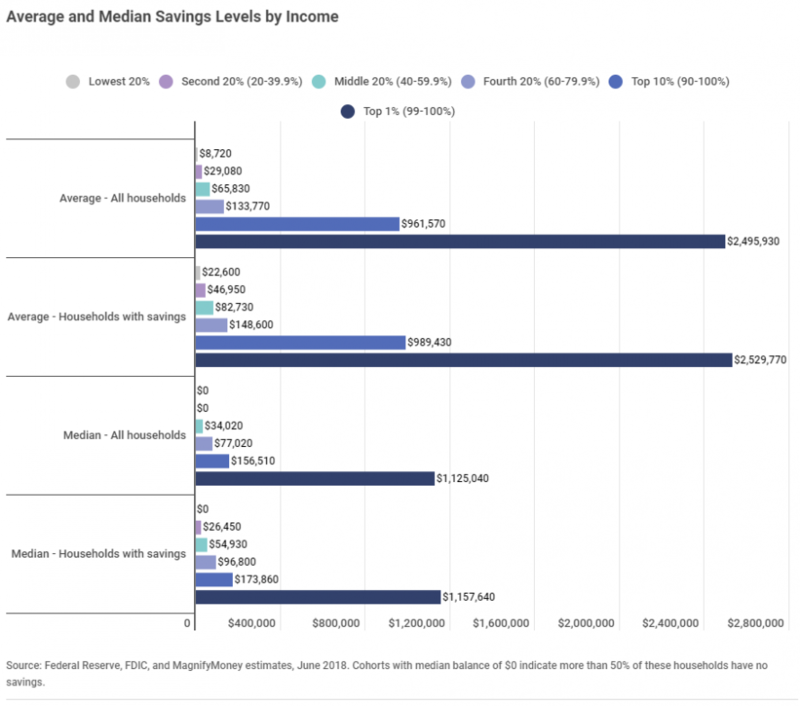 The average top 1% of households have roughly $2.5 million saved, while the average savings among the bottom 20% of earners sits at $8,720 - clearly not reflecting the fact that over half of low-income households actually have no savings at all. Meanwhile, the average boomer household has saved $380,000, while the average GenXer has $165,000 and millennials have just $34,000. 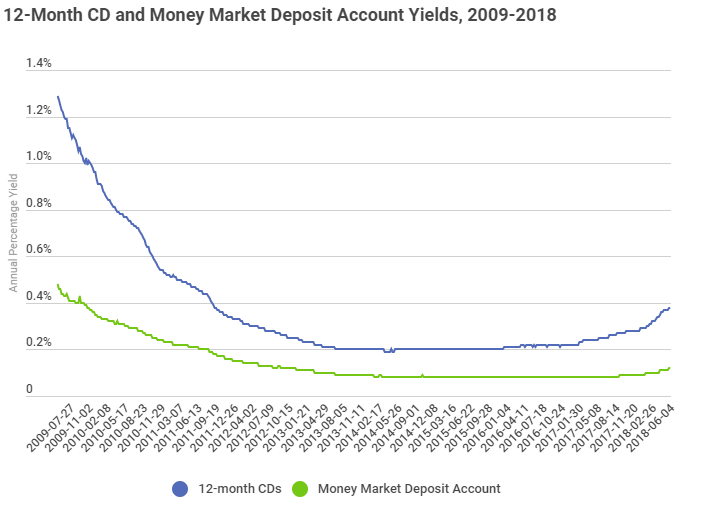 [A]lthough the average American household has saved roughly $175,000 in various types of savings accounts, only the top 10%-20% of earners will likely have savings levels approaching or exceeding that amount. Indeed, and as the chart shows, the bottom 40% of American households are more likely than not to have any savings whatsoever. Conversely, the top 10% of the population by income is likely to have many times the national household savings average. Indeed, some 50.8 million households - or around 43% of households can't afford the basics; housing, food, health care, child care, transportation and a monthly phone bill, according to government data analyzed by the United Way Alice Project. 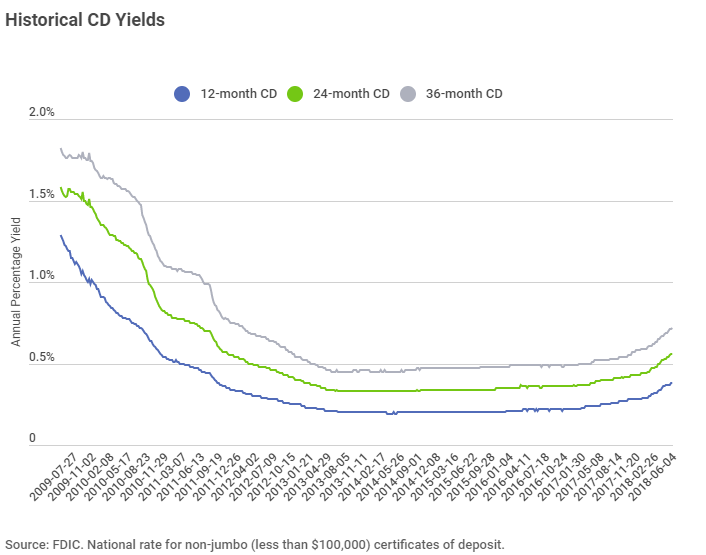 When it comes to duration, long term CDs haven't yielded much more until recently, lagging the Fed's rate hikes by about a year. 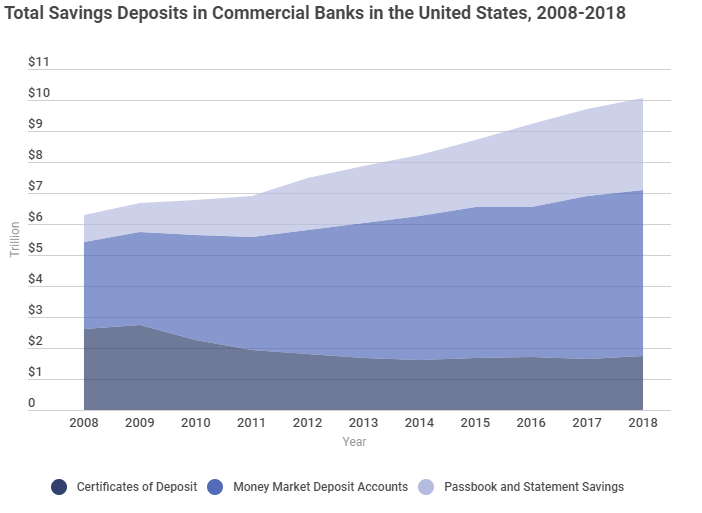 And as Marketwatch's Quentin Fottrell notes, people have been hoarding money since the Great Recession - going from an average of $1,000 in checking accounts to more than $3,700. In short, don't let average figures fool you.